Both of our flight times changed on our return flights from Albuquerque, which resulted in me dropping JMP off at the airport at around noon. I didn't have to be back to the airport for my flight until 11:30 pm, and I had the rental car until then, so I headed east along Route 66 to Tucumcari, New Mexico. 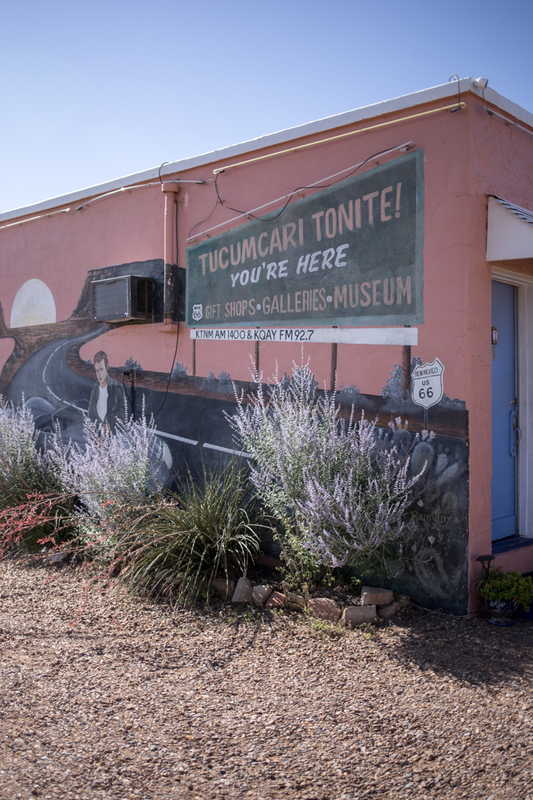 Tucumcari was founded in 1901 as a construction camp for the Chicago, Rock Island and Pacific Railroad. The camp was called Ragtown and then Six Shooter Siding before being formerly renamed Tucumcari, after a nearby mountain, in 1908. 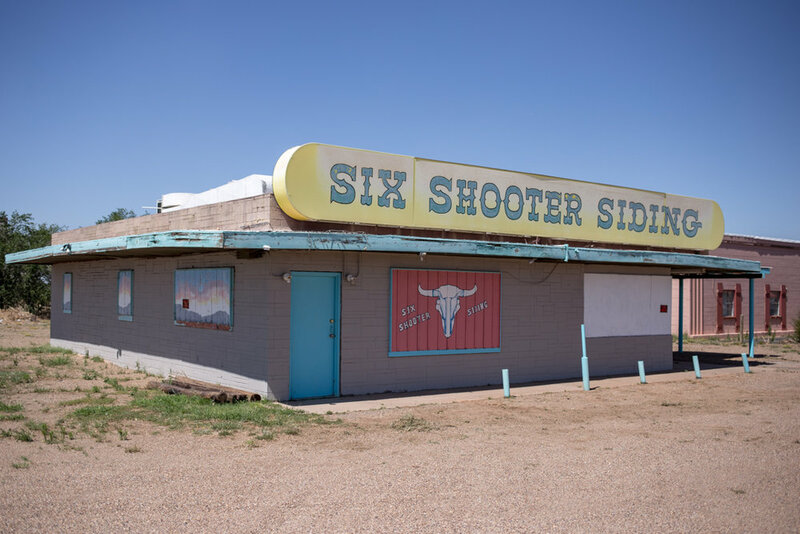 It's the largest city on Route 66 between Amarillo, Texas and Albuquerque, with a population of less than 5,000 as of 2016. 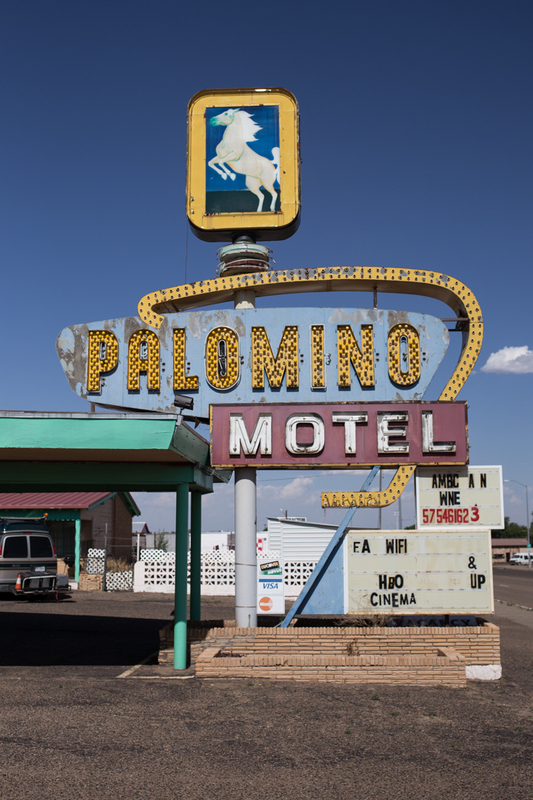 In its heyday, the town attracted Route 66 travelers to one of its 2000 motel rooms with billboards for miles in each direction proclaiming "Tucumcari Tonite!" 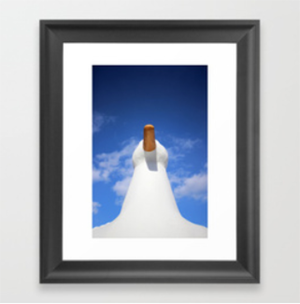 They later adopted the tagline "Gateway to the West," but voted to return to their previous slogan in 2008 (a scene including one of the billboards is painted on the side of the Blue Swallow Motel). I didn't have time to spare, but I easily could have spent days exploring the abundance of abandoned businesses and neon signs that line both sides of the road. I raced from sign to sign—getting in and out of my blissfully air conditioned car—and I eventually became so overwhelmed (and overheated) that I stopped for lunch at Del's, in business since 1956. 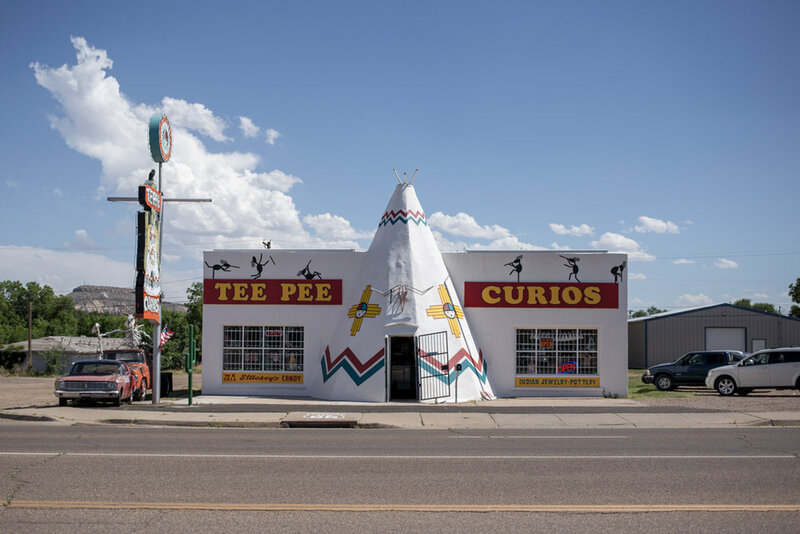 The only other place I went inside of was Tepee Curios, a former Gulf gas station, where I bought a tepee pin and squished a souvenir penny. 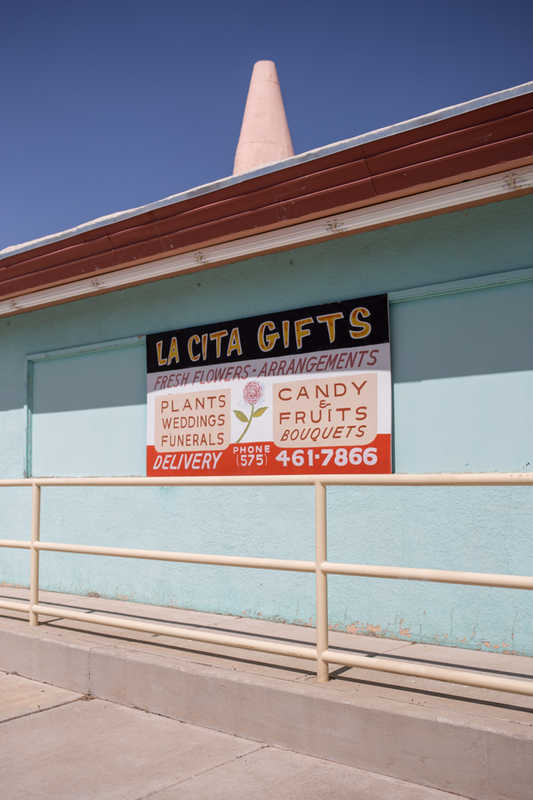 While most of the motels and restaurants appear to be abandoned, and the status of some businesses wasn't immediately clear, Tucumcari—somewhat improbably—lives on. 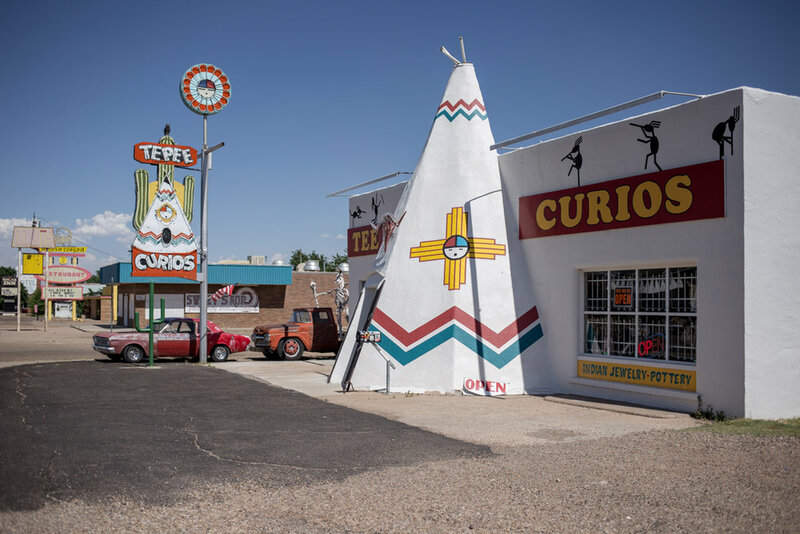 Although I didn't have time to visit any of them, Tucumcari has four museums: Mesalands Dinosaur Museum, Route 66 Museum, Tucumcari Historical Museum and the Railroad Museum, and several historic motels are still welcoming road-weary travelers to spend the night. 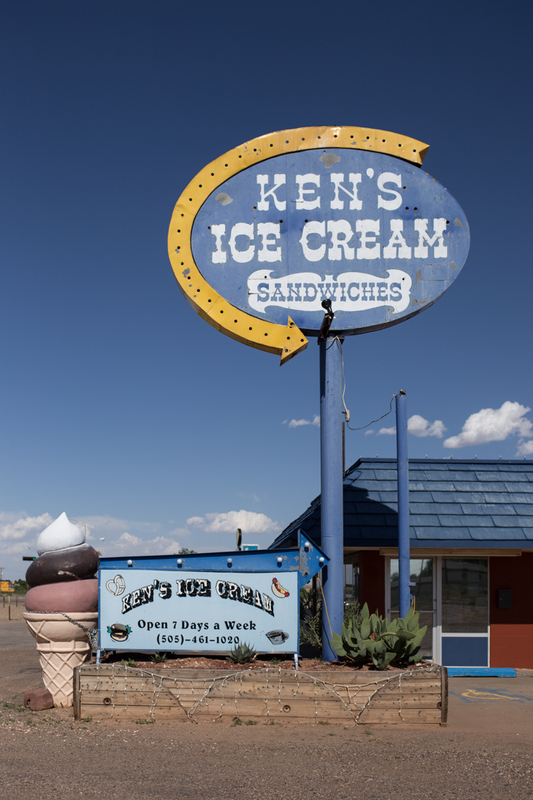 I only spent a few hours driving the 2.5 mile stretch through town, but Tucumcari was by far my favorite stop along Route 66. 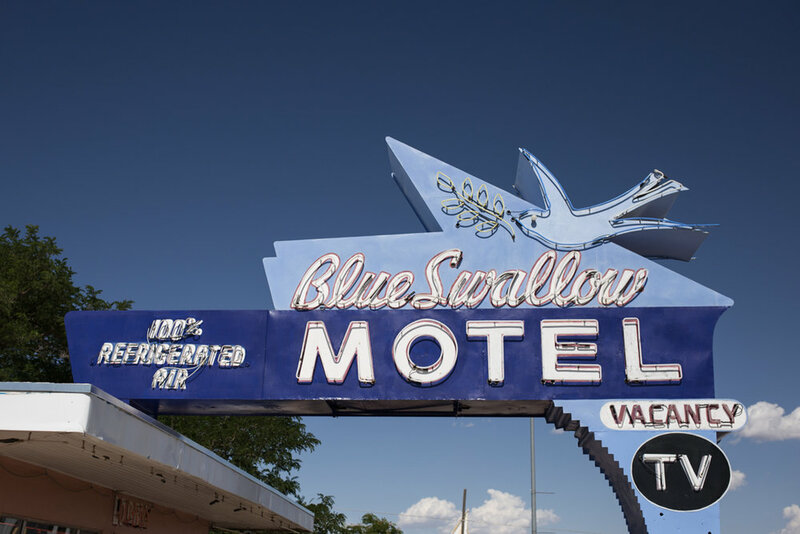 If I had an extra night, I would have loved to have spent it in the 100% refrigerated air of the Blue Swallow Motel, serving travelers along the Mother Road since 1939. The neon signs are beautiful in the daytime, but I won't feel complete until I also see them lit up at night.